Back in March, we published a blog aiming to answer the most common questions posed to us about electric bikes. Now, we know the blog might not have answered them all, so we’re back to provide you with some more answers in part two! How safe are electric bikes? In short, the answer to this question is very safe. With features including reduced speed, high visibility and high performance breaks, you’re safer riding an electric bike than you are a traditional pushbike. The lithium ion batteries we equip our bikes with can be charged approximately 800 times. Given our Model 15 electric bike can travel as far as 45km off a single charger, that’s a maximum of 36,000 km of travel before you’ll need to replace the battery! How do I maintain an electric bike? With proper use and care, an electric bike will give you many years of great riding. Keeping the bike clean, the battery charged and ensuring tyre pressure is kept at the correct pressure of 40psi will help to maximise the life of the bike. 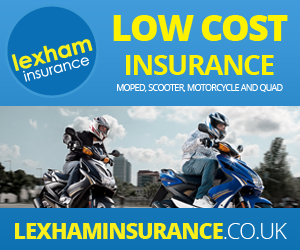 Some electric bikes can cost as much as upwards of £10,000. But here at E-Rider, our bikes are priced between £1195 and £2295. In addition, we love to provide our customers with great discounts and also run regular sales. In fact, our Spring Sale is currently underway – this means you can currently pick up an E-Rider for as little as £895 including standard delivery! Our electric bikes and electric mopeds are designed for style, performance and reliability, and are being enjoyed by more and more people up and down the country who have made the electric switch. We’re also going to be adding more models to our already fantastic portfolio of electric bikes in the very near future. Keep an eye on our Facebook and Twitter pages for sneak preview pictures, prices and release dates! As always, if you feel our blogs have still left some of your questions unanswered, simply leave a comment in the space below and a member of our team will get back to you very shortly!